They help make a room. I needed gold curtains and not solid gold curtains. The gold would tie in with Bryan's grandparents china that his parents had given us. It is beautiful china and it needs a great curtain to tie to it. 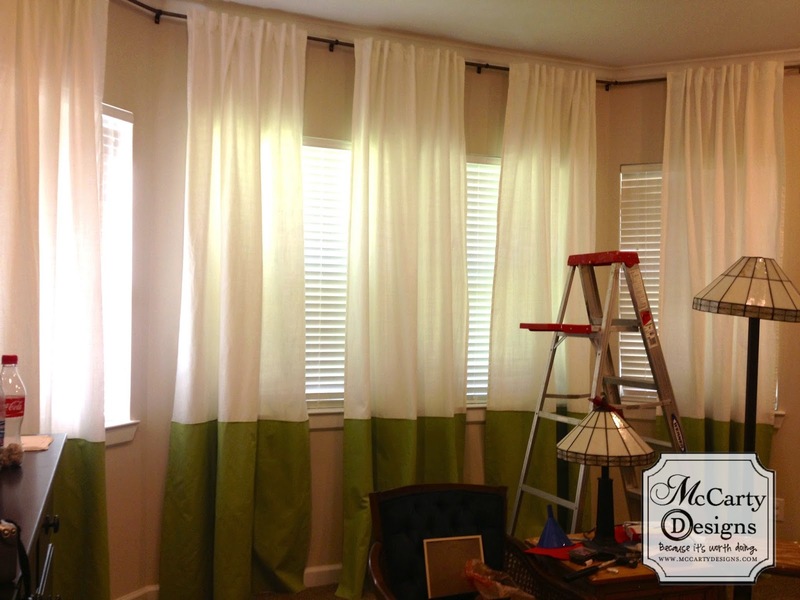 If you are going to make your own curtains I can not suggest enough starting off with Ikea white curtains. Seriously. They are fantastic. They are thick, beautifully done and under $30 for two. All my curtains in my house are Ikea Curtains that I've embellished in some way. Check it. For the dining room curtains my first thought was of course stripes. 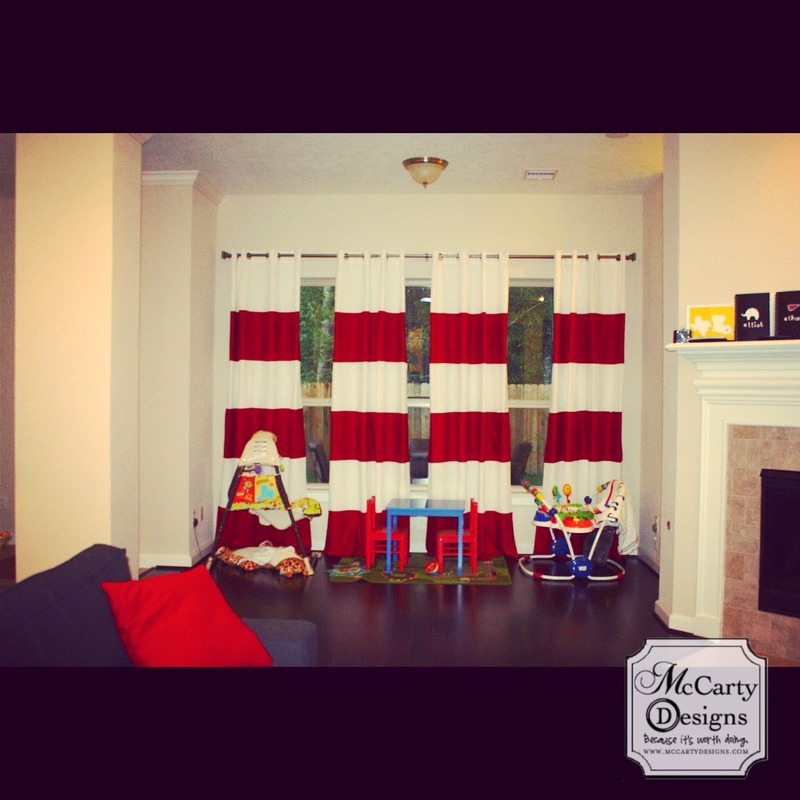 I like stripes and stripe curtains are super doable. I have them in my living room. Yet, looking around my house… I don't think it needs anymore stripes. Drat. Then I thought maybe one big accent stripe and I even found fabric and bought it. ooo…. Hello. Gold Confetti. Bet I could put that on a curtain… DING. I'm not a fan of painting curtains. They say it's way easier but… it doesn't look way easier. 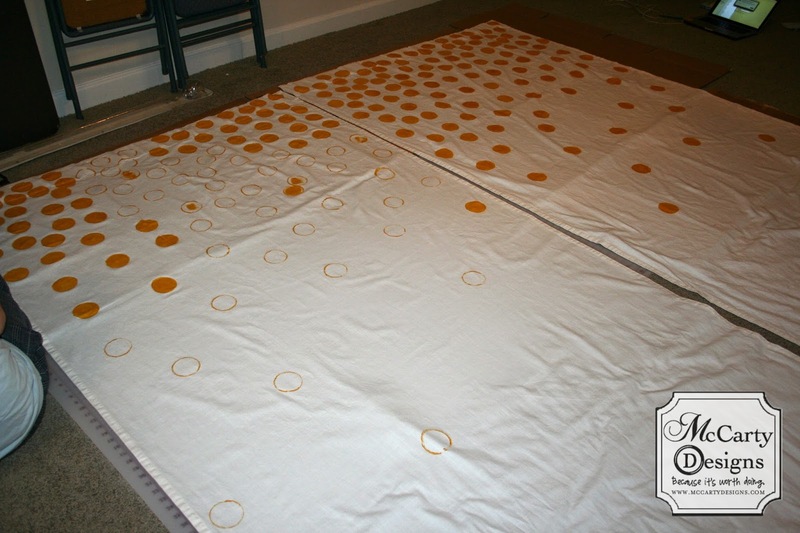 So, when I decided to do gold polka dots I thought of cutting out the dots and fusing them onto my curtains with an iron. Yea… cause that is WAY easier. I was explaining my plan to my husband and I could see him start to pale. Hubby: "How many circles would you need?" 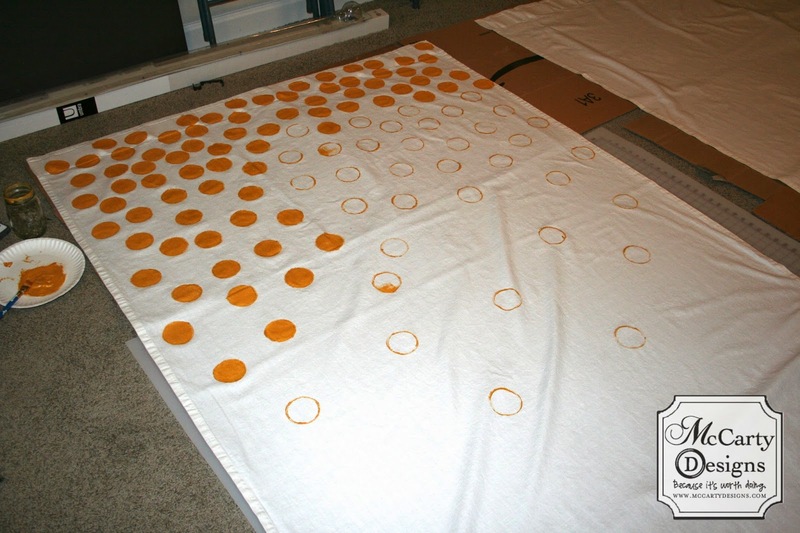 Hubby: "You… want to cut out… 200 little circles and then iron them onto curtains?" Well, when you say it out loud… yea it sounds really stupid and horrifyingly time consuming. That gold fabric is just going to have to sit in my filing cabinet till one day I can do something with it. I was stuck now. Couldn't make the circles, wasn't a fan of painting them… I was in a pickle. 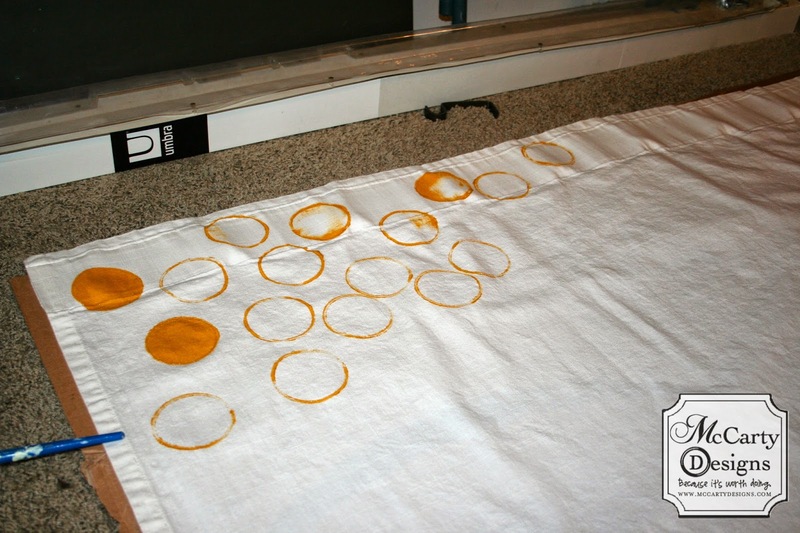 Until one day I ran across this lady's blog about the best paint for fabric: screen print paint. It doesn't dry hard. It holds it's color and STAYS IN PLACE. I gave it a try on some Wifey T-shirts and let's just say… I'm IN LOVE!! Off to Hobby Lobby where I bought about five bottles of it and now I was ready to go! A big flat surface to lay down the curtains. The Curtains. 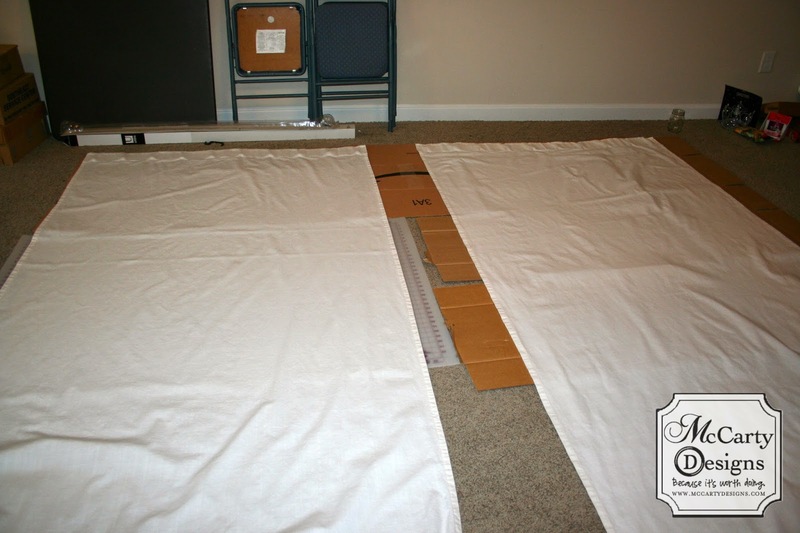 I bought 118" Ikea Ritva curtains. I needed 3 panels so I bought 2 packs. Gold paint. I used Simply Screen Print Paint in Gold Dust. Something to make my circles. 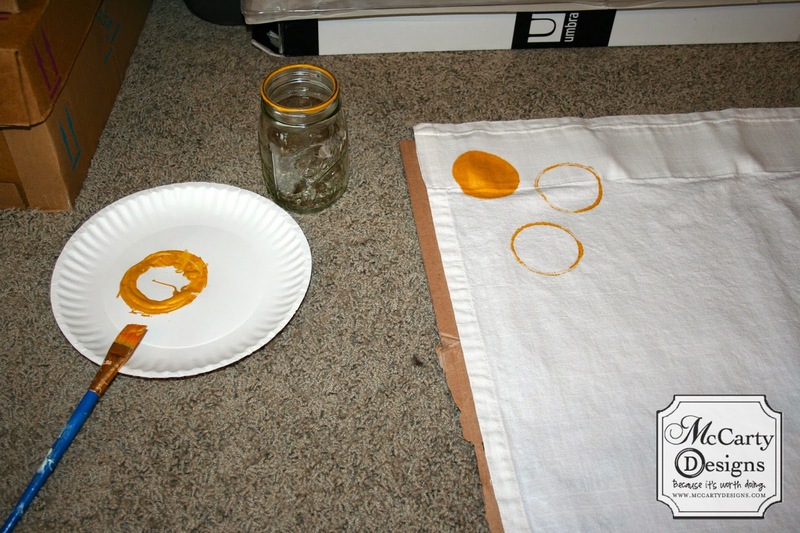 For all you mason jar lovers out there, as it so happens the mason jar opening is the perfect circle size. While I love this paint, it does go through the fabric. No biggie. Just make sure you have something under it. Something as awesome as my put together work space. 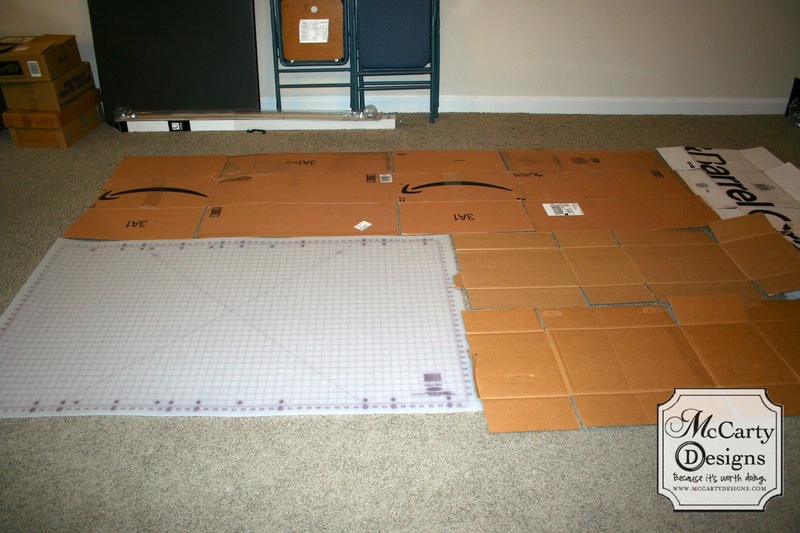 Yes, those are cardboard boxes and a giant cutting mat. Epic. I know. It works. 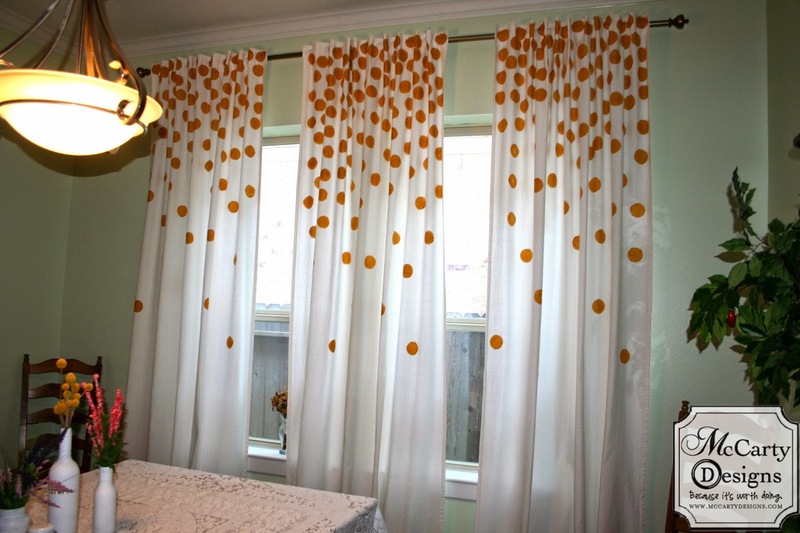 Since they are confetti curtains there is no rhyme or reason to the dots. They aren't perfectly spaced so no measuring is required. 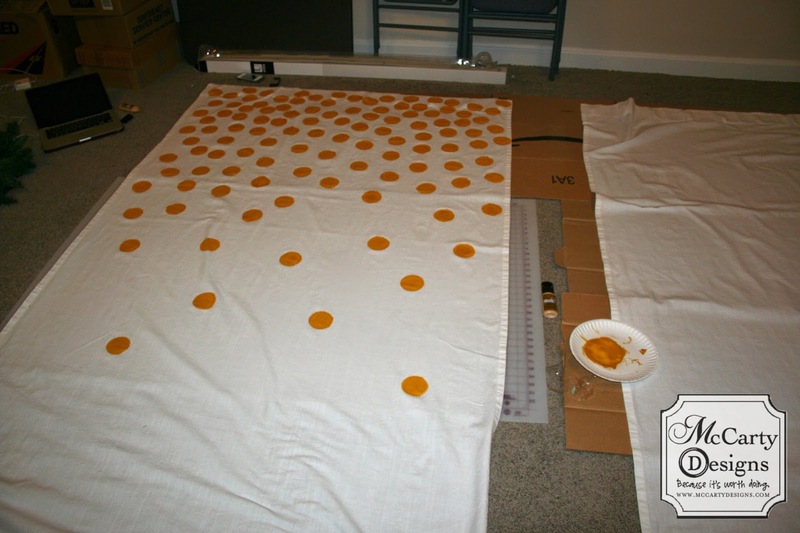 I do want them to look cohesive so I put two side by side so the dots would trail off around the same spots. The best way to do this is to make a bunch of circle outlines then go back with your paintbrush and fill them in. 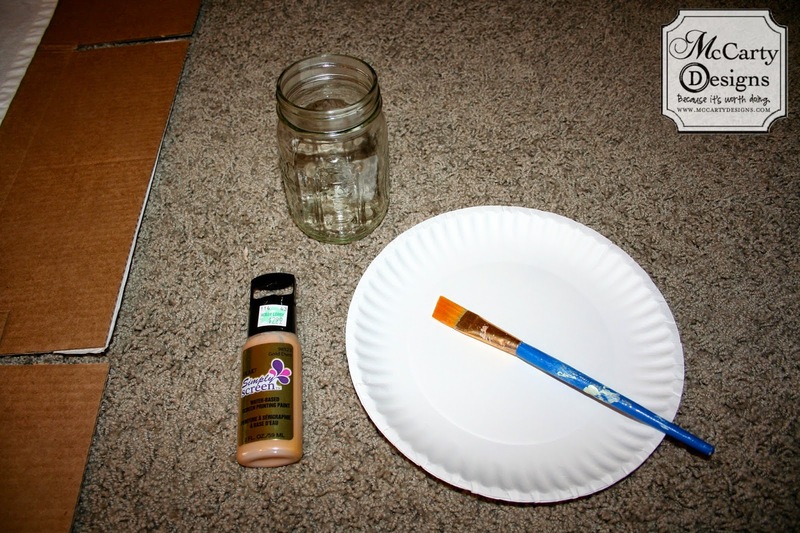 You will use a lot of paint but when you put it down, it stays in place. It never bleeds. Start at the top with more circles. Don't be afraid to overlap. As you head down your curtains just start putting more space between your circles. It's all up to you and how you want it to look. Once I finished one I moved it over and started on my next one. Granted, it was my kids singing but it was still epic. There you have it! 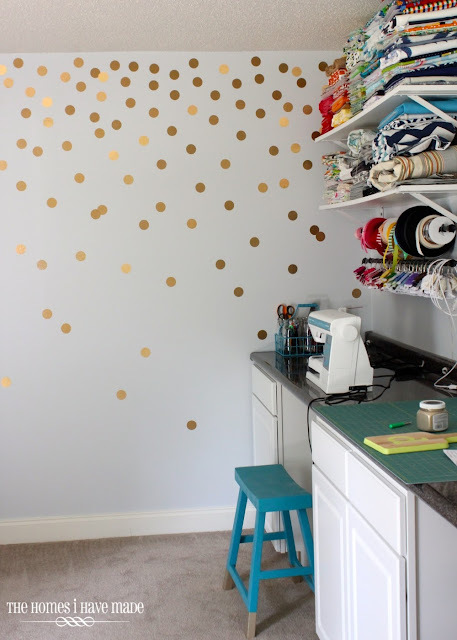 Gold Confetti curtains! With the mint and the gold and the awesomeness… Happiness. That they are my husband's favorite curtains in the house = happiness x 10. Painting curtains is definitely not as hard as I thought. You should give it a try. Especially gold confetti ones… super awesome. Those are awesome! 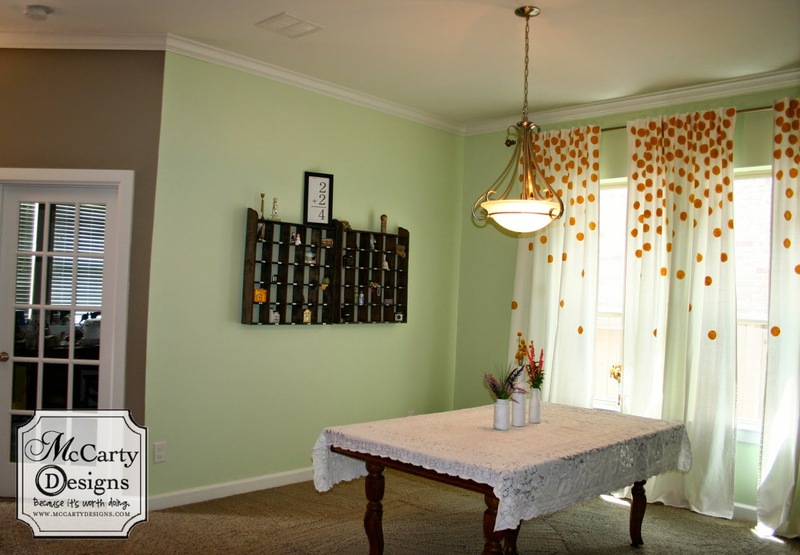 I love the way you design those curtains.I must give it a try something like this. I love buying curtains. I usually purchase curtains online. While making purchase one needs to choose a fabric that is suitable to both, the style of room and the furniture in your room. Also keep in mind that it should also match with the wall color of your room. 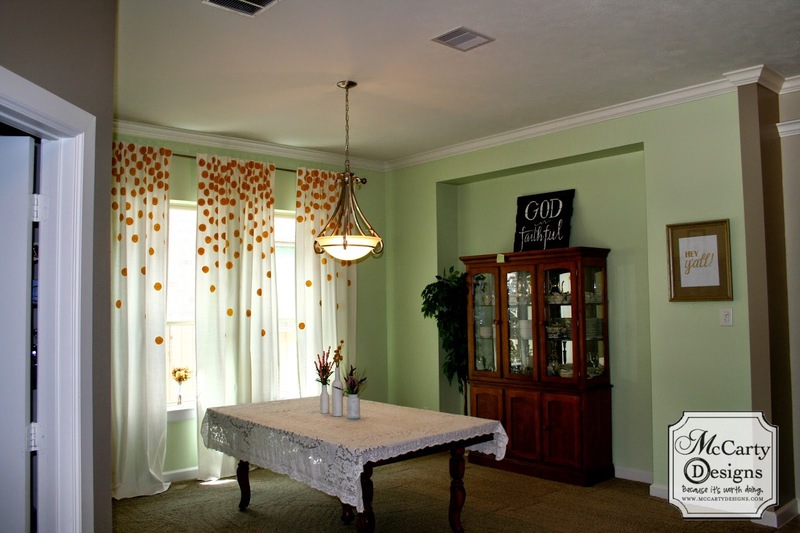 There are different types of curtains fabric available, design for your style and need. Some room requires heavy type of curtains while some requires light curtains. 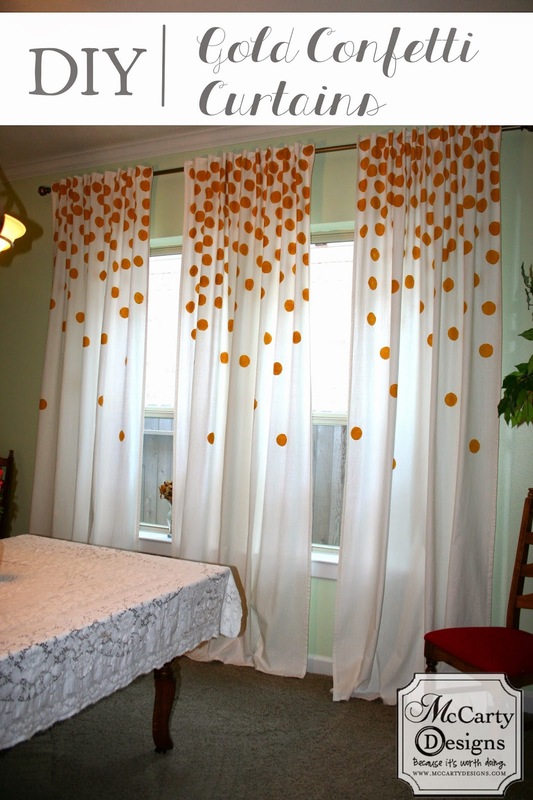 If you want to Buy curtains online then you have to keep certain things in mind. Keep in mind that curtains you purchase should only be dry clean. The rod you are going to purchase should not be very expensive. It should fit your budget. This is considered an important factor while buying curtains online. If you want you can go for silky curtains otherwise it’s up to you as what type of fabric do you select.